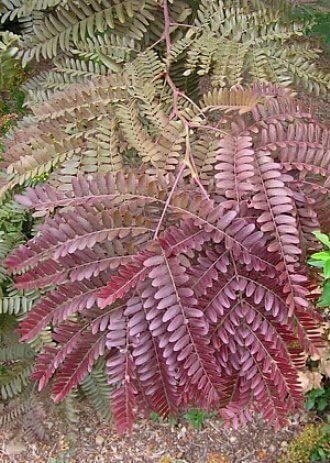 New foliage is claret coloured becoming bronze-red in summer. This variety is seedless and thornless and its finely divided leaves are easily managed in autumn. Suited to many soil types. Will tolerate dry conditions, moderate winds and frost but performs best in moist, well-drained soil in full sun. Stake tree when young. Mulch to retain soil moisture and control weeds. Prune in autumn if required.